Bradford City F.C. 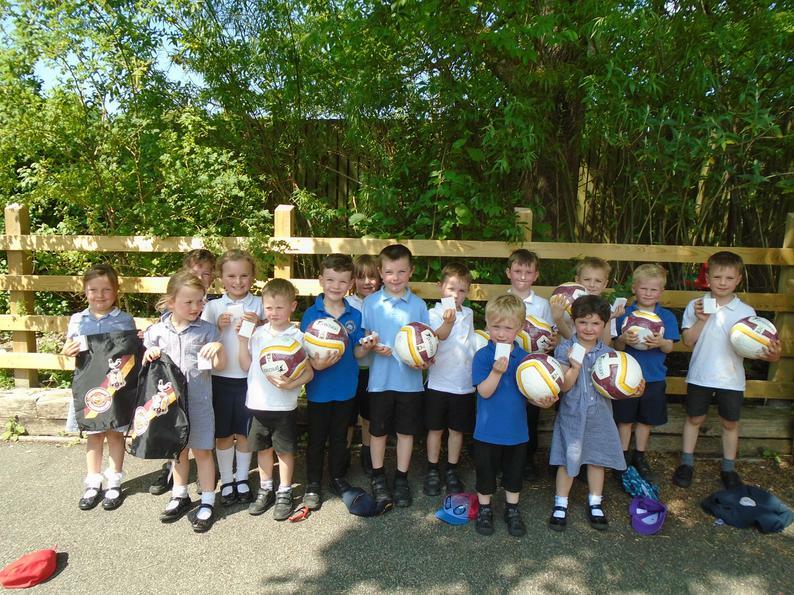 Community Foundation Penalty Shoot Out - winners! 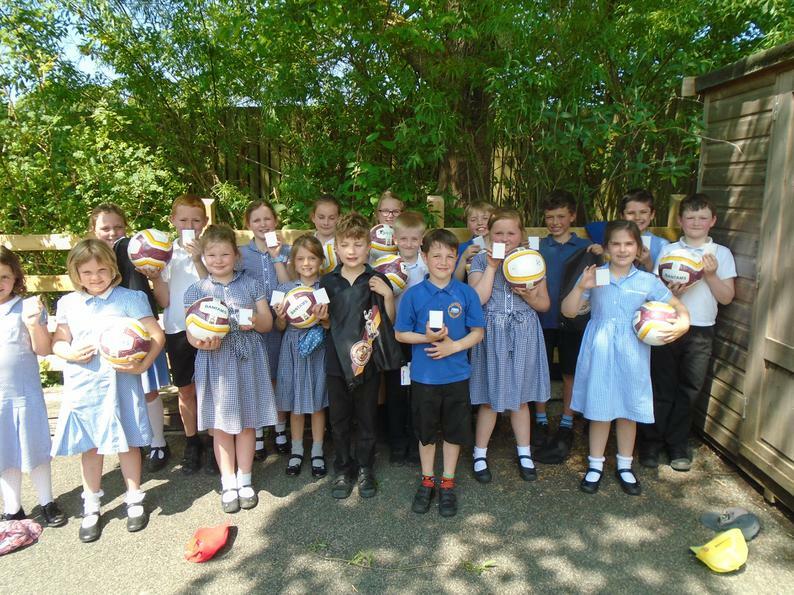 Following the Penalty Shoot Out in April, all sponsorship money has now been collected, with over £1000 being raised! Wow! Half the amount has been sent to Bradford City F.C. and our school has received the rest. 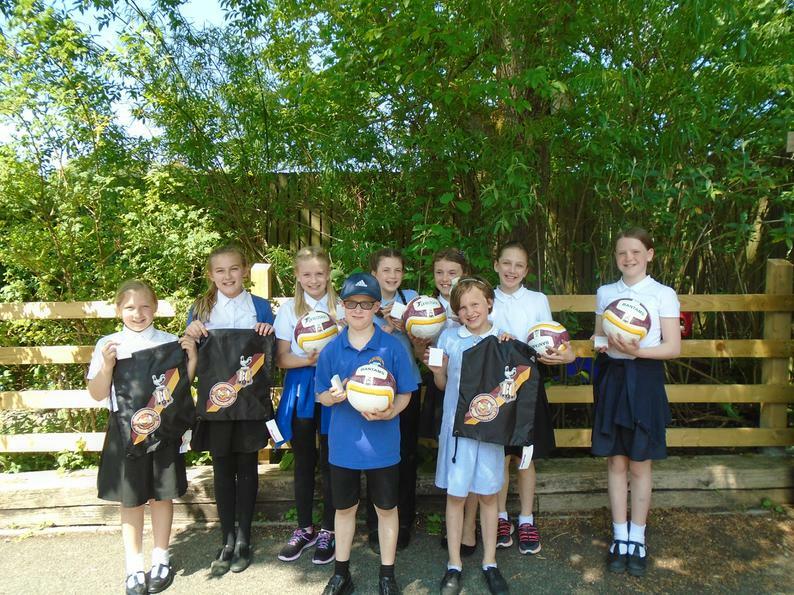 Many pupils collected enough to receive a prize from Bradford F.C. 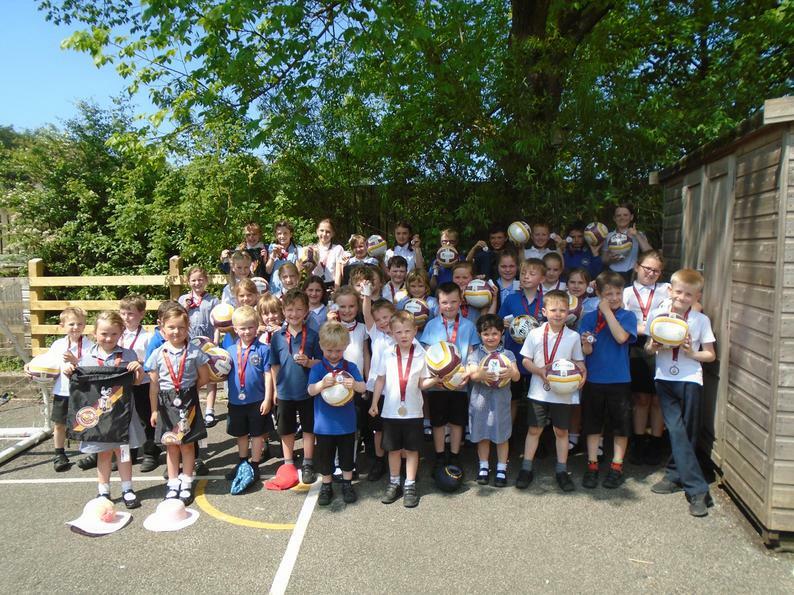 - medals, pump bags or footballs and Tommy received a signed football for collecting the most money. Well done to everyone!